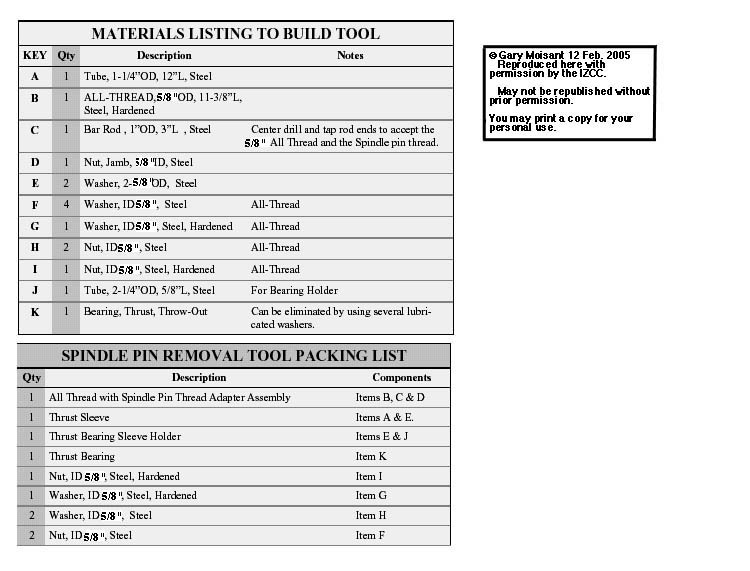 The following images show you what you need in terms of materials and then how to construct a spindle pin removal tool. 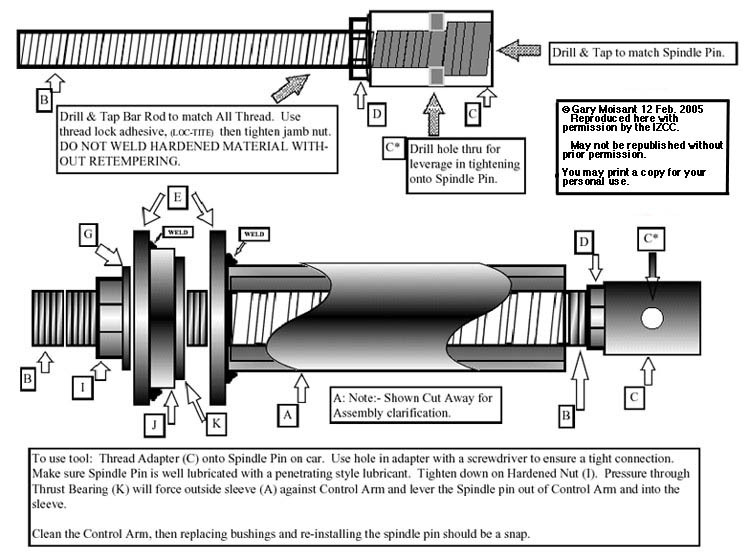 This simple device works like a dream and saves the spindle pin for reuse . 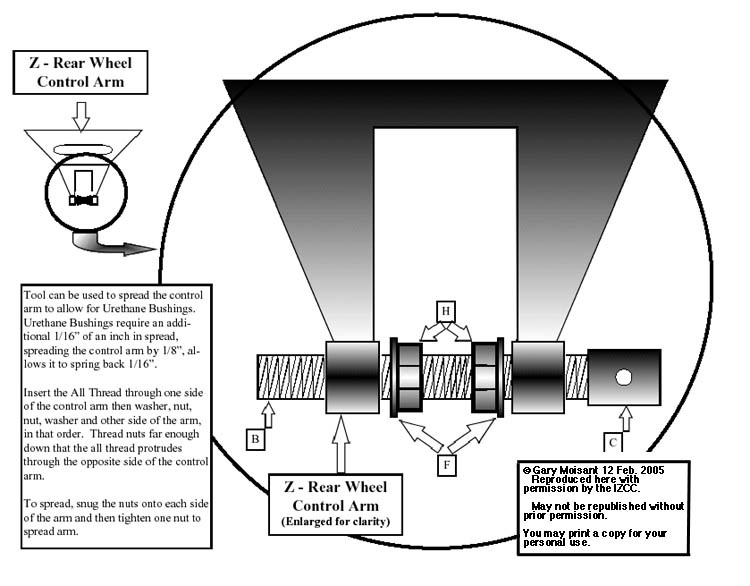 It will draw the pin out of the control arm , and if the user is installing urethane bushings , which are a little thicker, the all thread can be inserted into the control arm with the washers and nuts in-between the two halves. Then it can be used as a spreader . Spread the two halves apart 1/8'' only and when released it will spring back 1/16'' , leaving the space 1/16'' wider and the assembly will go smoothly. This is unnecessary if rubber bushings are used.